The topic I would like to discuss today is the changes that are unfolding in the publishingindustry. Until recently, it has been nearly impossible for Indie authors to get their creations into the hands of readers. Most traditional publishers won’t even consider reading Indie manuscripts; and when they do, rejection letters are sure to follow. With so many hurdles to overcome, only a few are able to achieve their dream. However, the world of publishing has entered a new and exciting era. The introduction of ebooks is now making it possible for anyone to release their creations to the public. 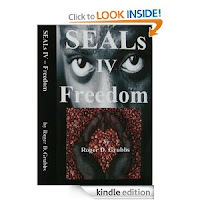 And if you have the resources, an Indie writer/publisher can release the paperback version of their work as well. While the potential is there to become the next best selling author, there are many factorsimportant to this success. First of all, we must create a masterpiece worthy of such success. So far I have been fortunate to have over 6,000 downloads in a month, and that has given me 11 Best Sellers. But I must warn you that such success brings out the worst in envious people. The review process is in shambles and provides little meaningful guidance for readers to make an educated decision. I can speak from experience. All those five star reviews will bring out the fake one star reviews in an effort to sabotage your efforts. Another thing to consider is the fact that self-publishers are putting a damper on the profits of traditional publishing houses. They are feeling the pinch, and because of that is it possible they could set up fake accounts to sabotage our reviews? With the lack of proper monitoring, anything is possible. So be prepared. On the positive side, the best judge of your book’s acceptance is in repeat sales. In order to enjoy long term success, it is absolutely essential that we have word of mouth working for us. 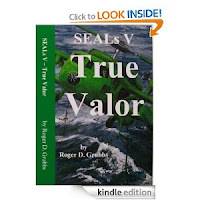 When readers tell others about our books, it spreads – thus nullifying the consequences of fake one star reviews. I mention this to keep you from becoming discouraged in the event it happens to you. Really, who is going to read an entire book that they dislike so badly as to warrant a one star review? With samples to read beforehand, who is going to buy the book in the first place? Don’t let jealous people discourage you. If your book is great, people will read it and tell others. That will keep readers coming back for more, and that has been behind my success. breeze. After that it became even easier, and book number six was written in six days. I know that sounds crazy, but it did get “Top Pick” for suspense fans at Midwest Book review. 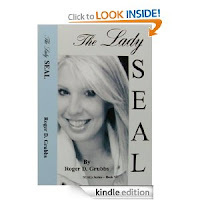 In fact, every book sent to professional reviewers garnered a five star review and was recommended to readers. You can only imagine the feeling of receiving such an honor as “Top Pick” alongside greats like Dan Brown. 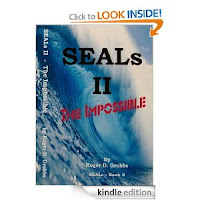 Since that humble beginning, I have released 38 books from my very own publishing company. We transform paper, ink, and words from our computer into a high- quality paperback copy of our creations. By having the equipment inside my facility, we are able to do that in a matter of days. We will put our quality of the end product up against any on the market. They have actually been in Barnes & Noble right next to books by the great John Grisham. That was such an honor! to movie, and that is what is happening for me. We are putting together a team of famous actors that will transform my stories into blockbuster movies. 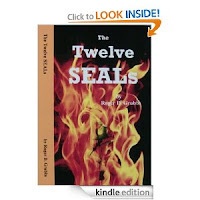 The Twelve SEALs is the first book of a series on the subject of human trafficking. I am proud to announce that Rachele Brooke Smith, well known for her amazing dancing and acrobatic skills, will star as the first ever Lady SEAL! If you would like a peek at her training exercises, click this link: Boxing sizzle reel4a: http://youtu.be/UgjFKflKjs4?a By the way, I also wrote the screenplay for the movie. Have a fantastic day and never give up on you dreams! Wow 38 book releases is nothing to sneeze at!